Will Pierre-Emerick Aubameyang be Arsenal's superhero when Tottenham Hotspur come to town? Aubameyang made headlines when he pulled a Spiderman mask over his head after an already memorable goal to seal the German Super Cup against Bayern Munich in 2014, and he is considering a repeat performance on both counts. It will be the Gabon forward's first home derby since his move from Borussia Dortmund in January, and having failed to register a shot at Wembley when these two sides last met in February, will be hoping his superb form at the Emirates - with 10 goals in 14 home league games to date continues. The two go head to head on Sunday, live on Sky Sports Premier League from 2pm, in their 196th meeting in all competitions. 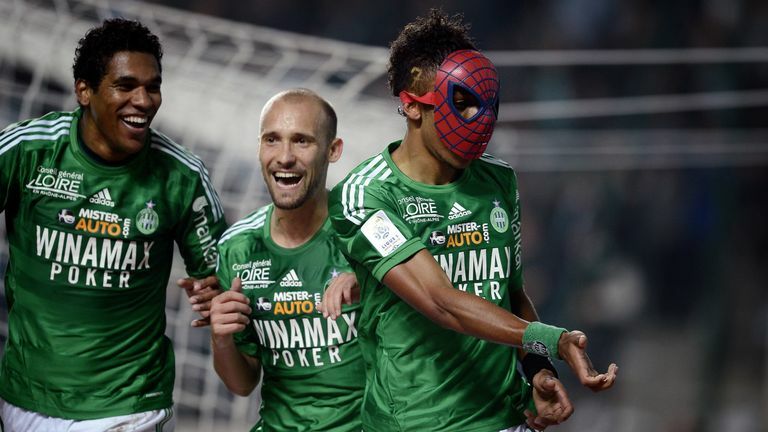 Pierre-Emerick Aubameyang has history as a superhero - will he do it again this weekend? He told Sky Sports: "We will see [if I bring out a mask], it depends on my mood. I remember the derby when I put on the mask of Batman with Dortmund, I had the idea on the morning of the game. "I called my cousin and said okay, go to buy this mask and it depends on the mood - I will see if I feel good maybe, why not. I'm in a good place now so we'll see. "The first time I did it was with Saint-Etienne in France, and that was because it was one of my friend's birthdays who had played with me before. "He came on the pitch with the full Spiderman kit when I was younger, and I said I would do it one day. It was his birthday so I did it." 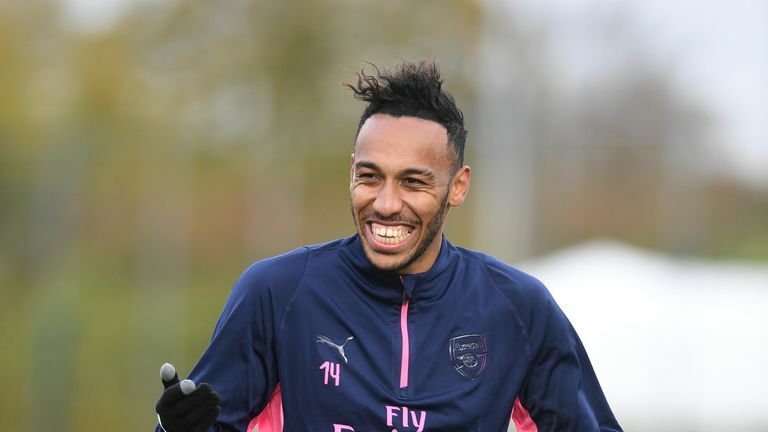 Aubameyang may be deployed as an out-and-out striker against Tottenham, having led the line - and scored - at Bournemouth last weekend as regular No 9 Alexandre Lacazette remained at home nursing a groin strain. If the France striker is fit to start this weekend it may signal a return to the wing for his team-mate, however, the 29-year-old is relishing the chance of another opportunity through the middle - and continue to emulate some of the Gunners' long list of top-quality forwards. He said: "I prefer to play as a striker, but I'm a guy who wants to work for the team as well. If they need me on the wing, I will play on the wing, of course. But I prefer to play up front. "It's good when you are coming to work and you have great examples, Thierry Henry, Dennis Bergkamp, and it's great to try to follow that. We try to follow in their footsteps. It's not easy. It's not pressure, but you have to be good so you work for that." Pierre-Emerick Aubameyang admits Tottenham are playing well, but the rivalry is too strong for the Arsenal striker to enjoy it.